I remember the first time I heard the term “supergroup.” It was 1981 and my older brother Kevin, an avid Styx and Kansas fan, had just brought home a copy of a record with a blue sea monster on the cover. He was sitting on the end of his bed checking out the lyric sheet, the album jacket resting on his stonewashed jeans, and nodding his head along to “Heat of the Moment.” He kept a badminton racket beside the stereo for occasions that demanded heavy riffing. And this was most assuredly one of those occasions. Kevin: It’s this new supergroup, Asia. Of course, I’ve since come to understand that the most unforgivable thing my brother ever did to me was to convince me-at a very impressionable age-that Styx, Kansas and Boston (his trinity of rock) were good bands. They’re not. How could he have done that to me, I have since wondered in dismay? I was just a kid. I looked up to him, for Chrissakes. And here he was convincing me that Asia-the mutant stepchild of Yes (an okay band), ELP (a highly objectionable one) and a boardroom of A&R; executives who’d lost grip with reality after exposing themselves to large quantities of coke, fondue, and Dan Fogelberg during the Seventies-was the best thing since Electric Light Orchestra, a band he happened to love as well. So given my history with bad classic rock and wailing tenors, you can imagine my alarm when I recently heard about the abomination known as Yoso, a supergroup blending the “magic of YES with the voice of TOTO.” Now you can hear “Rosanna,” “Roundabout” and new songs from Yoso’s debut record Elements all performed on one stage by veteran members of Yes and Toto! Who could ask for anything more? 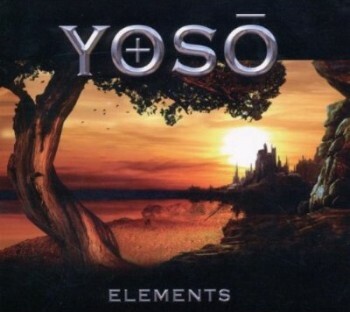 Yoso is a melodic rock/progressive rock supergroup combining former members of Yes (former members Billy Sherwood-bass/vocals and Tony Kaye-keyboards) and Toto (Bobby Kimball-vocals)…. For touring in support of their debut release, Elements, on Frontiers Records, out July 2010, the band announced a new line-up. Joining Kimball, Sherwood and Kaye are drummer Scott Conner (of Genesis tribute band Gabble Ratchet) and guitarist Johnny Bruhns (of Yes tribute band Roundabout). In their live shows, the band plays a mixture of classic Toto songs, classic Yes songs (mainly from 90125, on which Kaye performed) and material from their new album. The band sounds more like Eighties-era Yes than vintage Toto, which is the closest thing to a compliment I can offer. And the cover art from Elements is reminiscent of work by Roger Dean, the man responsible for artwork from Yes’ peak period. If you want to check them out, lead singer Bobby Kimball, who looks like a cross between Freddie Mercury and Hank Azaria, will be on tour this month with the rest of the Yoso crew. If you can stomach it, here’s a live version of the band’s eponymous song “Yoso” from their debut. Thank God it’s no longer 1981 and I’m no longer strumming dueling badminton rackets with my brother in his wood-paneled bedroom. We’d no doubt have been blown away by the sheer awesomeness of Yoso. And let’s just keep our fingers crossed that Yoso doesn’t spearhead a trend. The last thing I ever want to witness is Rush and Jethro Tull (my two most loathed classic rock bands) merging to form Rushthro. To quote Ghostbusters: “Don’t cross the streams!” The thought of enduring the extended drum and flute solos that would follow the inevitable “Tom Sawyer/Aqualung” medley is really just too much to bear. To their credit, Yoso isn’t the worst supergroup to ever record an album. That title goes to Chickenfoot, a band that merges the talent of Van Hagar (Sammy Hagar and Michael Anthony), Red Hot Chilli Peppers (Chad Smith) and Joe Satriani. If Stephen Ray Vaughan was still alive, he’d probably be in Chickenfoot too. As is, the foursome have created rock and roll’s equivalent of the Four Horsemen of the Apocalypse. Of course, in this age of listicles, all this talk of supergroups raises a very serious question. Namely, who are the best and worst supergroups to ever unite? Wonder no more. Here’s my very subjective list of rock’s greatest and most horrible supergroups. I’m confident that my choices hit the mark, but I’m sure you’ll take my selections with a grain of salt. After all, I did just admit to something that might cause the average reader to lose faith. I grew up idolizing Kansas, Boston and Styx.